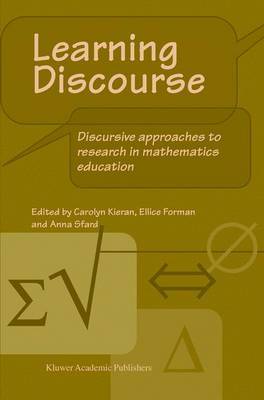 The authors of this volume claim that mathematics can be usefully re-conceptualized as a special form of communication. As a result, the familiar discussion of mental schemes, misconceptions, and cognitive conflict is transformed into a consideration of activity, patterns of interaction, and communication failure. By equating thinking with communicating, the discursive approach also deconstructs the problematic dichotomy between "individual" and "social" research perspectives.